Hey guys, I thought that I should bring you something different today, as I'm swinging back to blogging on the daily again. These 3 products from PONDS guys, I just can't stop using them. P.S. everyone skincare routine is different and results will vary from person to person, so if one product does work for me or not for you, or the other way round hey that’s okay that is why it is called a routine and routines change. 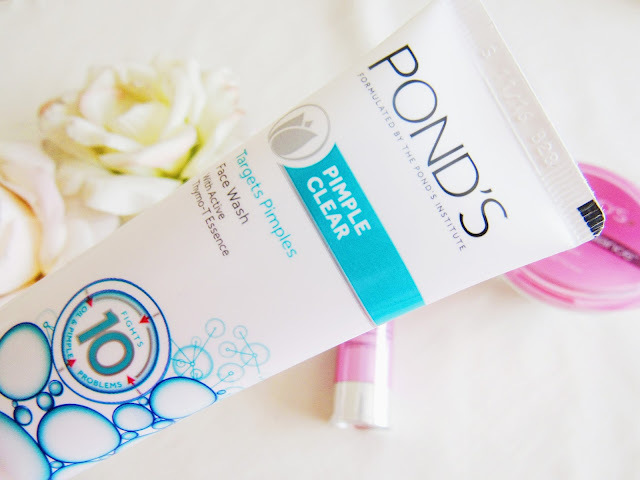 I was lucky enough to be at the launch of the Pimple Clear range earlier this year and I have been using the face wash together with the Pond’s Pimple Clear Leave-on Expert Clearing Gel for sometime now. The Pond’s Pimple Clear Leave-on Expert Clearing Gel did it's job of clearing out pimples that I get occasionally, however ever since I began using the Pond’s Pimple Clear Face-Wash those occasional pimples no longer pop. I know it's a huge claim but this facewash is doing it’s job, this is my 3rd purchase and I'm happy plus its affordable. This extra nourishing, rejuvenating night cream helps to repair daily skin damage and actively brightens your complexion whilst you sleep. Dark spots and blemishes are diminished, evening out skin tone and reducing discolouration. 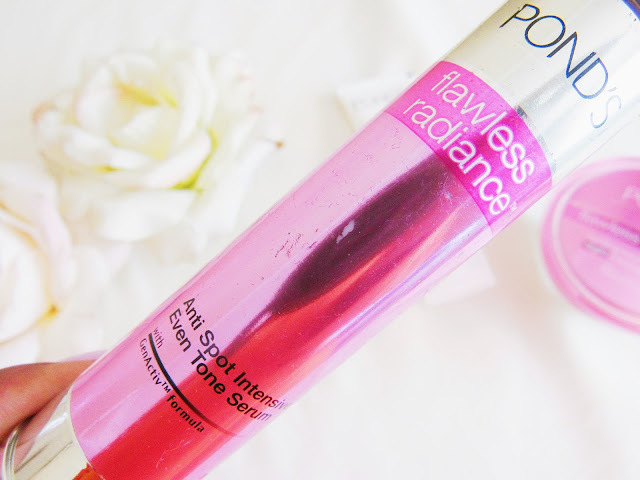 Wake up to more luminous, flawless looking skin. For me night-creams are supposed to be non-greasy and this product is just that non-greasy but moisturising. My night routine includes applying a serum and then the night cream. My only main concern here is that the Visible Even Tone Day Cream carries no SPF maybe it does have another form of sun protection, however for me I would like it written on the product. The POND"S Re-Brightening Night Treatment is great for me as it helps clear out blemishes which I suffer from most, and hey a little re-brightening formulation does not hurt either. This potent anti-pigmentation serum intervenes in the ageing cycle that creates dark, stubborn spots by decreasing the transfer of dark pigments to the surface of the skin. 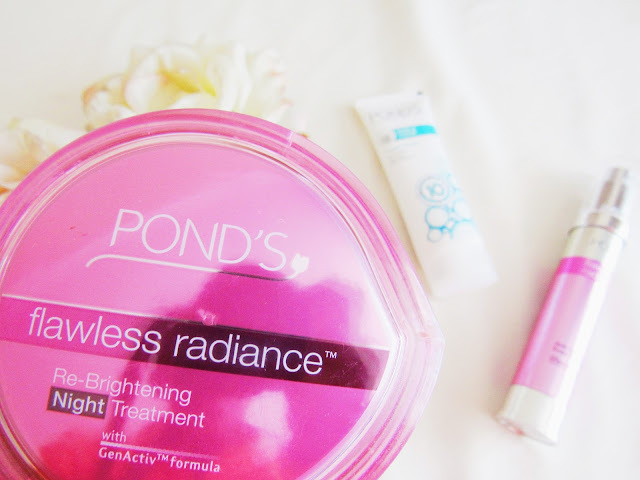 This prevents discolouration before it begins and gives the skin a new, bright and luminous glow. Not only does the serum reduce the appearance of dark marks, it also results in youthful, smoother skin. For me this serum ties everything together in the Pond's Flawless Radiance Collection. This morning while getting ready just after using a toner (cause you know how drying these could be) then using the serum all I can say is oooh my goodness. 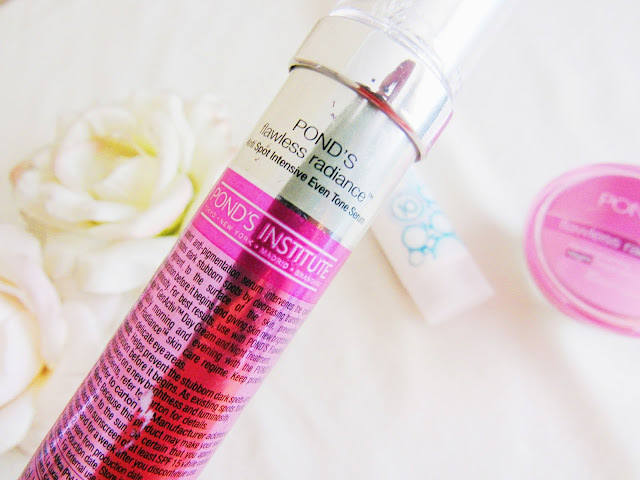 If you are not using a serum in your skincare routine you need to start immediately and for this I recommend the POND'S serum. Hope you have enjoyed my mini reviews. The serum looks really interesting! 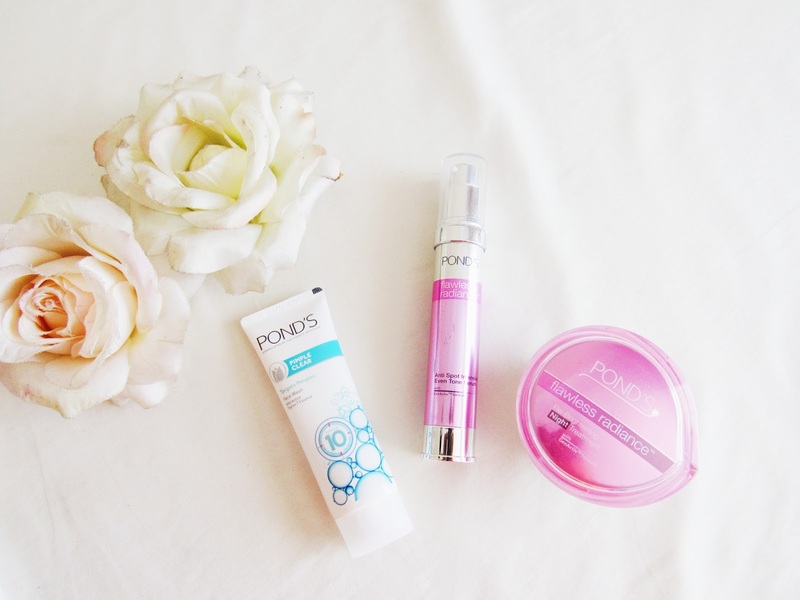 I love ponds! Girl you need to get the serum you won't go wrong.